At the end of week 6, we are nearly complete with the renovation of the bathroom. We have finished the slabs and laid the tile floor. 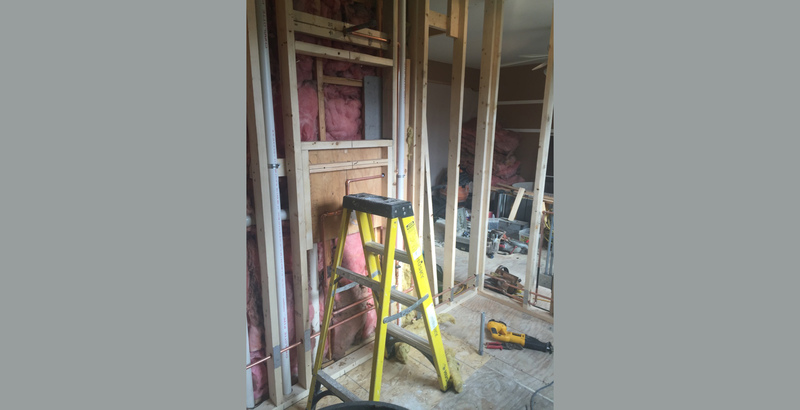 The plumber installed the tub and shower hardware, and the client’s choice of shower system is modern with beautiful, exposed fittings. 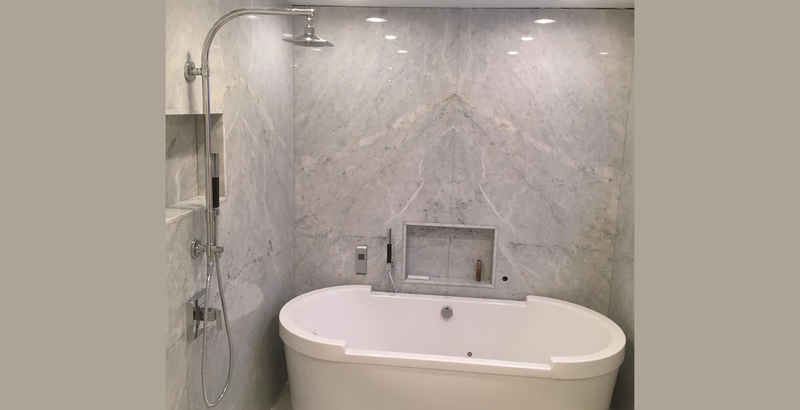 We maximized the shower niche for shampoo, conditioner and soap and had we gone with a conventional shower head, the piping in the wall would have interfered with the symmetry of the niche centered between the two matching slabs of marble. The back and side walls both have matching niches placed for convenience. We also laid the 5/8” mosaic floor with the infinity drain this week. 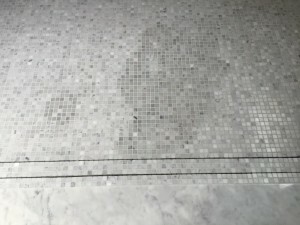 A particular spot of the grouting was thin and had to be touched up, as shown in the mildly wet discoloration appearing in the floor. However, we expect this to be dried out by Monday. Unfortunately, the hole for the tub spout was 1/8” too small for the piping, and so will need to re-drill to accommodate the tub spout. The process will surely run smoothly, though! We are hoping that next week will end the re-modeling process and the commence the use of the wet art in the master suite.